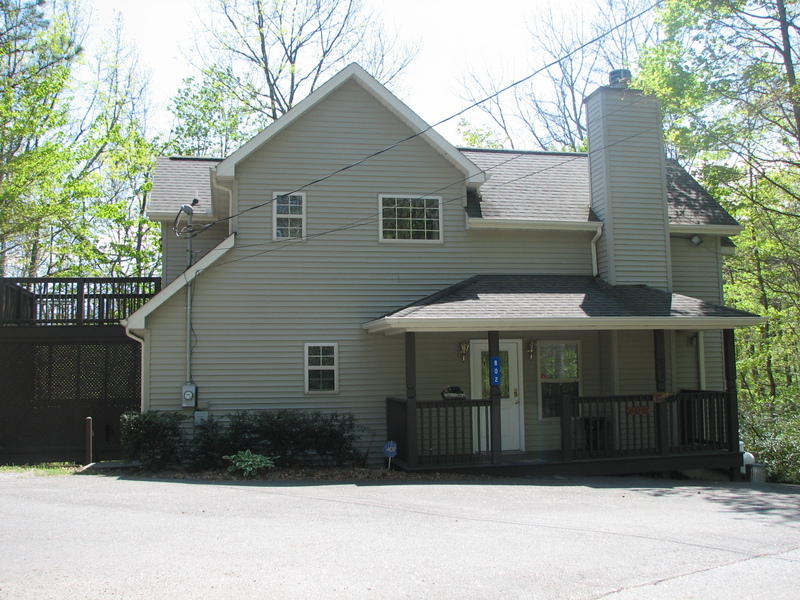 This is a 3 bedroom, 2 bathroom vacation house in the city of Gatlinburg surrounded by the Tennessee Smokies. It’s well within a convenient driving distance to all the attractions in Gatlinburg and Pigeon Forge and there’ll be plenty to enjoy indoors with our pool table, foosball table and hot tub just waiting for you to get here! Whether you come in the Spring, Summer, Autumn or Winter, this chalet will perfectly serve your Smoky Mountain needs! Beautiful multi-level home located in Chalet Village with beautiful mountain vistas and spacious comfort for up to 6 people. Recreation room, hot tub, gorgeous mountain views, pool tables, flat panel televisions, dvd players and more. Two King bedrooms, one Queen bedroom and 2 full baths accommodate your family comfortably.